Winter of 2015 is here and Drumcode continues to release the new tracks that may well make waves within the techno community. The label’s already been releasing tracks from artists such as Adam Beyer, Alan Fitzpatrick, Joseph Capriati, Maceo Plex, Luigi Madonna, Ida Engberg, Joel Mull, Sam Paganini, Harvey McKay and dubspeeka. Now, it’s the turn of Kaiserdisco. 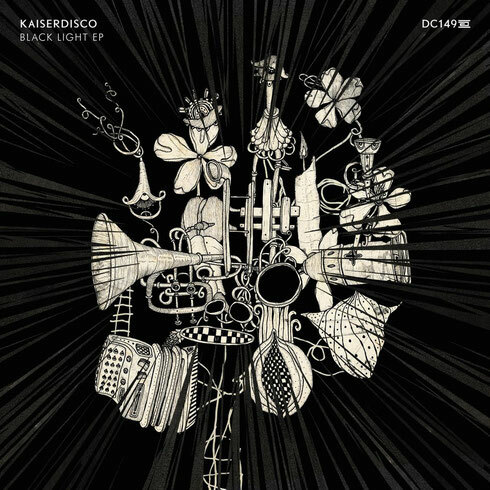 Kaiserdisco are certainly no strangers to Drumcode with this being their fourth single release. With productions such a ‘La Patogonia EP’, ‘Victoria Harbour EP’ and ‘Le Feu EP’, they aim to always have their fingers on the pulse when it comes to producing top quality techno. Now with their new EP landing, they continue with the quality techno theme. Drumcode welcome them back with three brand new tracks including the heavy hitting 'Black Light', after being championed by Adam Beyer in recent sets. 'Black Light' uses old school stabs that weave up and down to create a roller-coaster of a ride. 'SQ 80' and 'Manley' are groovy numbers that really show the versatility that's laced throughout the EP.